Transport heavier and larger cargo with a 20ft or 40ft flat rack container. Do you have heavy or oversized cargo that won’t fit in a regular shipping container? 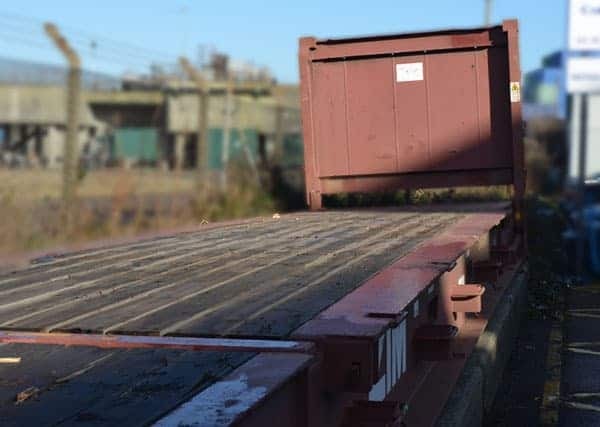 Learn how the 40ft and 20ft flat rack container we offer for sale can help you. 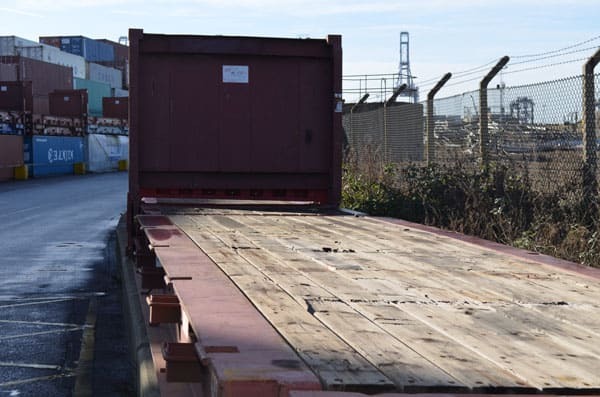 When you transport a large item such as a boat, farm vehicle or heavy machinery you might find that you need more versatility than that offered by dry van containers (standard ISO shipping containers). This scenario is where the flat rack container can potentially become your problem solver. What is a flat rack container and how will it help me? Standard ISO shipping containers only allow you to load the container from the end, but what if you want to load from the top or sides? Here is where the flat rack container really shines. Depending on the type of flat rack container you buy it will have either collapsible or fixed walls at each end. The side opening and potential for collapsible end walls means you have loading flexibility and opportunities to transport items that would not otherwise fit inside a standard ISO shipping container. Plus, securing your cargo is made easier with lashing rings located on the side rails, corner posts and floor. The flat rack container is engineered to carry heavier loads. 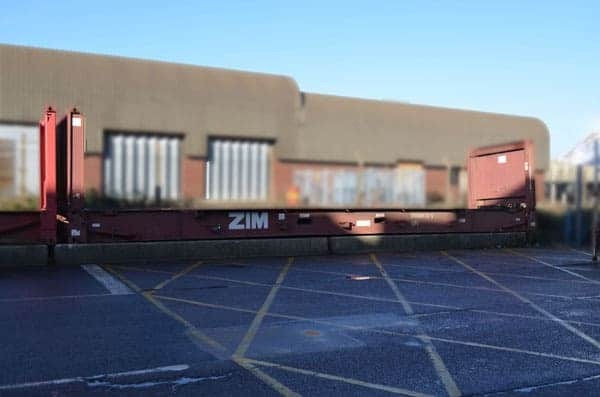 Because the container is built with a higher capacity frame you can transport larger loads of approximately 2,000kg for the 20ft flat rack, and about 4,000kg for the 40ft flat rack version. Flat racks are available to buy in either 20ft or 40ft sizes. We never like to be beaten on price so you can rely on us to provide a very competitive quote. And because our used flat rack containers are quality inspected before delivery, you can purchase with absolute confidence.